One of the formulas copywriting schools teach is the “4 P” method. 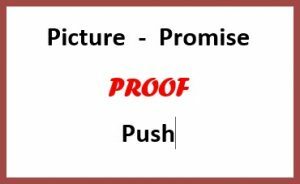 The P’s stand for Picture, Promise, Proof, and Push. Your “Product” is a bit different. When you prepare a listing presentation, you and your services are the product you’re selling. The picture is the vision of a home sold quickly and for top dollar. The promise is that you can get that done. And then comes the proof. How can you prove your ability to those clients? One way is through prospecting letters that offer useful information and/or show your understanding of the prospect’s wants, needs, and worries. This is an important step because it can get you in the door, where you can make that listing presentation. Combined with your agent bio, good prospecting letters will present you as a professional agent. The second is by demonstrating what you have done, offering proof in the form of statistics – your average days on the market and list to sell ratios. You can also offer testimonials from happy clients. Show those potential listing clients the photos and the narratives that you’ve posted on MLS, on your own website, and on social media. If you’ve blogged about your listings, provide links to those blog posts. Point out the fact that instead of driving through neighborhoods looking for “Home for Sale” signs, more than 90% of all home buyers do their “driving” on the Internet, browsing through real estate websites. That means the first photo in an Internet presentation has now, for the most part, replaced curb appeal in creating a first impression. It sets the expectation and either invites or discourages further investigation. Just as a potential buyer in a car drives right on by a house that lacks curb appeal, Internet shoppers will “drive right on by” a house with a poor photo. Home shoppers flip through listings, looking for something that catches their eyes. Then they look at the rest of the photos and read the details. Ugly pictures, pictures that are blurry or too dark, or pictures that don’t even show the house aren’t going to capture that attention. The second requirement – plenty of photos. When your initial photo catches someone’s eye and they want to know more, for heaven’s sake give them more – and make the rest of the pictures worth viewing. 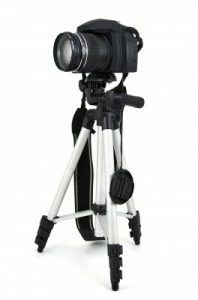 A professional photographer will know what to shoot, but if you’re doing it yourself, just stop and think. Which features give the house the most appeal? Hint: It’s not a blank bedroom wall with a bed pushed up against it. Naturally a house that’s been staged will show the best in photos, but if you haven’t been able to convince your sellers to take that step, at least make them de-clutter, clear the counter-tops and refrigerator door, pick up the coats and shoes, put away the pet food dishes and litter box, make the beds, and arrange the furniture in a pleasant fashion. You may still have to remove fingerprints from the oven door in Lightroom, but at least you won’t have to try to remove newspapers or empty pizza boxes from the living room floor. Why do so many agents persist in using pathetic pictures? My first guess is that they don’t want to pay a professional. But then, they should at least get out of the car and attempt to compose the frame. I’ve seen listing photos that showed the car’s rear view mirror in one corner, and there’s simply no excuse for that. Agents who are just starting out may not be able to afford a professional – we can all understand that. But since those photos are so important, you also can’t afford to post ugly pictures. So if you’re in that position, take a class, look for instruction on line, or consult with a photographer friend and learn to do it correctly. Video tours also make both you and the house look good, as does drone photography (if it is legal where you live). If you choose to do your own videos, do get some instruction or take heed of others’ mistakes. Slow down to give viewers eyes a chance to keep up and see what you’re describing. Finally, your narratives are important. Use this space to paint a verbal picture of life in the home. Instead of repeating the details they’ve already read, such as “3 bedroom, 2 bath, garage,” include features and benefits that aren’t obvious in the detail section or the photos. Mention the view, the dog park or golf course nearby, the easy access to mass transit, or the way the sun shines on the back deck in early morning. Maybe there’s something especially appealing about the floor plan, the outdoor spaces, or the smart home technology. Whatever it is that makes this home stand out should go into that narrative so that it can make your phone ring with showing requests. Write a good description to use on your own website, in your blog posts, etc. Then, if necessary, pare it down to the most essential points in order to fit into the limited space allowed by your MLS. If you can’t take time to write a good narrative or can’t make the words come together right, get in touch. Writing property descriptions is another one of the things I do to help real estate agents succeed. And what is the PUSH? The line that says “Call me today!” OR it could be the “capture box” that offers more information. It could also be the tool that gives a seller an idea of their home’s value or a link to a “How much can you afford” application. Or it could be a combination of both. Your listing promotions are also your self-promotions. When you do a fantastic job of getting your listings in front of buyers, you are selling the listings – and you’re selling your services by demonstrating what you can and will do for your listing clients.